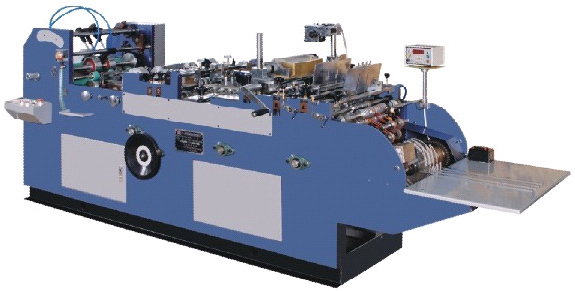 SE-530 western-style envelope paper bag paste machine can produce western-style envelopes from NO.1to NO.9 and various nonstandard paper bags in the same range. The machine employs planar structure and can be fed with papers continuously. You will enjoy its easy operation, convenient adjustment, stable paper feed and high production efficiency. It is the right equipment to continuously produce large lots of envelope paper bags.